It's a natural part of grief to want to hold onto some piece of a person or pet we love, to want to create something beautiful and lasting when both can seem hard to find. And while grief can be ugly, your memorial to them doesn't have to be. Don't settle for memorial jewelry that's kitschy or isn't something you would actually ever wear - you're grieving, not blind. Here are some handpicked designs that can honor both the person or animal you lost and also yourself, pieces that you would be proud to have with you throughout the day. 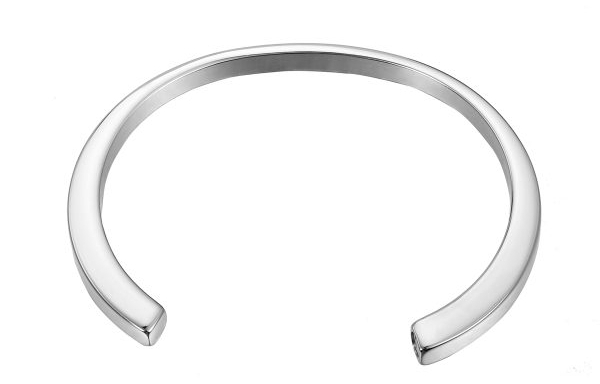 A sleek, simple bangle, with a twist. Nothing about this piece screams "GRIEF!! !," yet hidden on the right hand edge is a screw, which when removed reveals a hollow space to store the ashes of someone you want to keep close. You could wear this every day or save it for special occassions, so that a part of the person you love can attend your graduation or wedding or thesis presentation or Tuesday morning coffee. If you don't have ashes for any of the many religious, cultural, or tragic reasons, a personalized ring can be a beautiful way to still carry a piece of someone with you. Each ring is handmade from a signature or any form of handwriting that you can pull from a letter or note. Choose their name, or a meaningful date, or a special word, or even just "I Love You." This is an understated and affordable way to keep their memory close. This one requires a bit of forethought, but can be a special moment to share together near the end of someone's life. Just like each person, each fingerprint is unique, and saving it in this subtle necklace will help keep this one-of-a-kind part of them close to you. This necklace comes complete with a fingerprint impression kit and step-by-step instructions for beginners, and provides personalized options from finish to chain length. 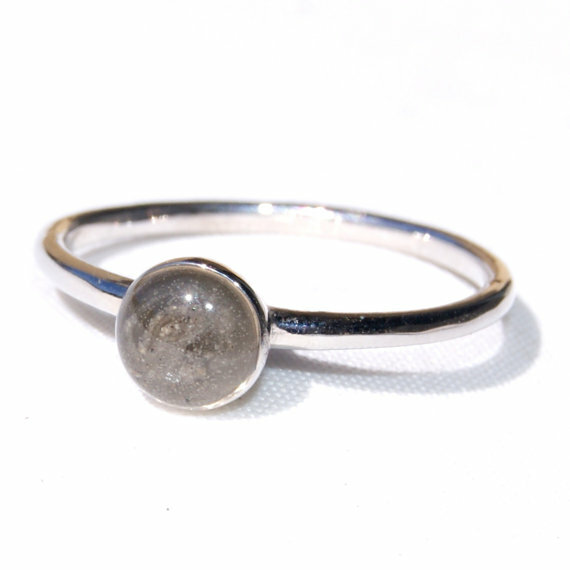 This dainty ring holds a tablespoon of ashes, which are transformed into a beautiful glass-like appearance. Just like each person is unique, so are their ashes, creating a unique color that is special just to them. This classic style is unassuming, and can easily be worn with your other jewelry. Do you have a special piece of memorial jewelry you love? Use hashtag #styleguidetogrief to share it with us!